As a little girl my dad would take me to the beach in spring, summer, and fall. There, we would spend hours and hours scouring the beach for fossils. Every now and then as I walked up and down the shoreline, I would cast a longing eye at the water and tried very hard not to think of how much I wished that we could go swimming. Then, I decided to make the best of the situation, keep my eyes to the ground and look for rocks. Besides, I thought to myself, I didn’t know anyone else whose dad ever took them fossil hunting. Of course, there was another source of inspiration. 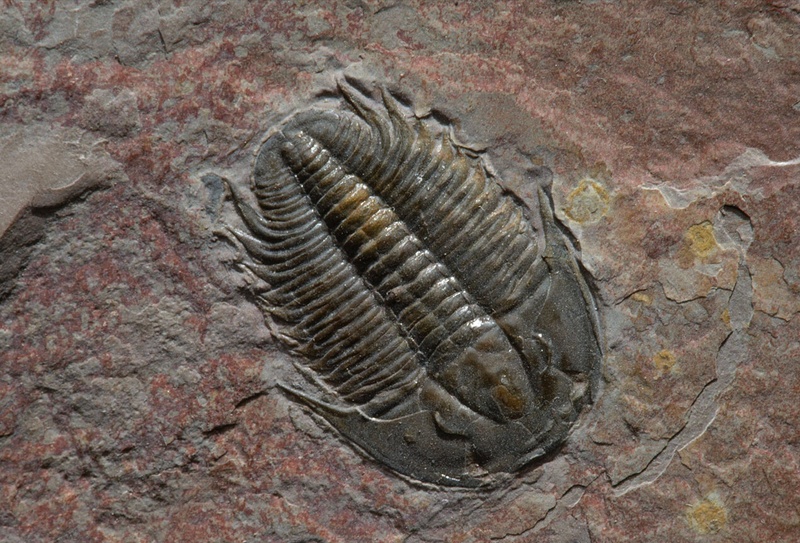 You see, my father had once found a perfectly fossilized trilobite. Whenever he let me hold it, he told me how many years it takes to make a fossil and I felt like I was holding time itself in my hands. This fossil impressed me so very much, and I thought my father was a true hero for having found it. If he could do it, then so could I even though I was only six tears old. Keenly intent of finding a genuine dinosaur fossil, I would walk gingerly among the rocks kicking them back and forth until I finally spotted a rock with some sort of anomaly. These anomalies could be anything from a strange squiggle to a vague formation. I would then rush it over to a part of the beach where I would find dad standing with his head bent over a very large rock, staring at it, fixated. “Is this a fossil?” I asked, placing the rock in his hand. The time that it took for him to make his assessment seemed to take forever. He would look at one side, purse his lips, flip it over and then make a few vague and undefinable hums and haws. When the answer was “Yes,” I was most pleasantly surprised. When the answer was “No,” I wasn’t surprised at all. By the end of the day, we would place all the fossils we had collected in a waiting cardboard shoe box inside the car which usually laid on the floor behind the driver’s seat. I would have proudly collected maybe five or six fossils and dad usually had about the same amount. The only difference was that his fossils were far better than mine. Once we reached home, our weighty loot would then be transferred into the house, much to my mothers chagrin. Thankfully, she would never disallow the fossils, but rather, she rolled her eyes heavenward as if to ask for strength. Then closing her eyes, she would nod and give a sad and heavy sigh of approval. To this day, I store my treasured fossils in glass vases, which I am sure is the REAL reason that see through glass vases were invented. When my father passed away, the flowers I received were eventually placed in mason jars. The glass vases filled with his fossils were left undisturbed. Looking back, I have learned two lessons. The first lesson is that fossils are forever. The second lesson is that fathers are not.